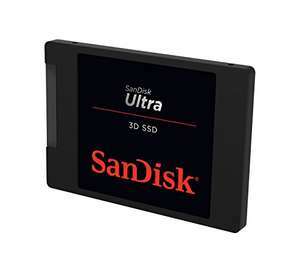 1TB SSD with stated speeds of up to 560MB/s read and up to 530MB/s write. WOW I paid £155 for this, how times have changed. When all SSD's were cheaper, those golden times of 2 years ago, they used to give them away free in cornflakes back then. Probably long ago (a year ago). If I knew prices were going to go this high, I wouldn't be interested in bitcoins. wow, I never thought I'd see that. Probably long ago (a year ago). If I knew prices were going to go this …Probably long ago (a year ago). If I knew prices were going to go this high, I wouldn't be interested in bitcoins. This has only been on the market for a couple of months, so they couldn't have bought it that long ago. Either they found the hottest SSD deal by miles, or they don't actually own this SSD. I suspect the latter. Amazon show that they first started stocking this item earlier this year and according to Camelx3 the lowest it has been was £270. When and where did you get yours from for £155? I presume you may be mixing up the Ultra II and the Ultra 3D. The latter is a recent and much more high-performance model. I presume you may be mixing up the Ultra II and the Ultra 3D. The latter …I presume you may be mixing up the Ultra II and the Ultra 3D. The latter is a recent and much more high-performance model. By much more performance. You mean still limited by the same SATA 3 interface. By much more performance. You mean still limited by the same SATA 3 …By much more performance. You mean still limited by the same SATA 3 interface. I mean close to 850 EVO level, which is pretty much the gold standard when it comes to SATA3 SSD. Where's the HUKD lie detector machine? When all SSD's were cheaper, those golden times of 2 years ago, they used …When all SSD's were cheaper, those golden times of 2 years ago, they used to give them away free in cornflakes back then. It exploded the first day they turned it on. It was damaged beyond repair. I paid £159 for previous model in April 2016. Ultra 2 may 2016 £155.56. Doubt the newer version justifies £100 plus on this, I mean it's not u.2 either is still Sata 3. Talk about over inflation. The old version I have is the same sort of price as this too on Amazon. Ultra 2 may 2016 £155.56. Doubt the newer version justifies £100 plus on t …Ultra 2 may 2016 £155.56. Doubt the newer version justifies £100 plus on this, I mean it's not u.2 either is still Sata 3. Talk about over inflation. The old version I have is the same sort of price as this too on Amazon. I don’t really understand the last couple of comments. SSD prices are what they are. They’re a lot more expensive than a year or so ago, but that’s across the board and not unique to any one make or model. So if you want to buy one now, not then, you have to be willing to pay the now-price. And in those terms this seems like a pretty good deal. I would never buy a Sandisk again myself. And I say that about barely any brands. I don’t really understand the last couple of comments. SSD prices are what …I don’t really understand the last couple of comments. SSD prices are what they are. They’re a lot more expensive than a year or so ago, but that’s across the board and not unique to any one make or model.So if you want to buy one now, not then, you have to be willing to pay the now-price. And in those terms this seems like a pretty good deal. Conversely, one could say in this particular period in time, ALL SSD prices are bad deals so all should equally be voted down. However you are correct, compared to the other SSDs, your one isn't as bad. tl;dr - In a relative sense fair enough, but in an absolute sense idk.